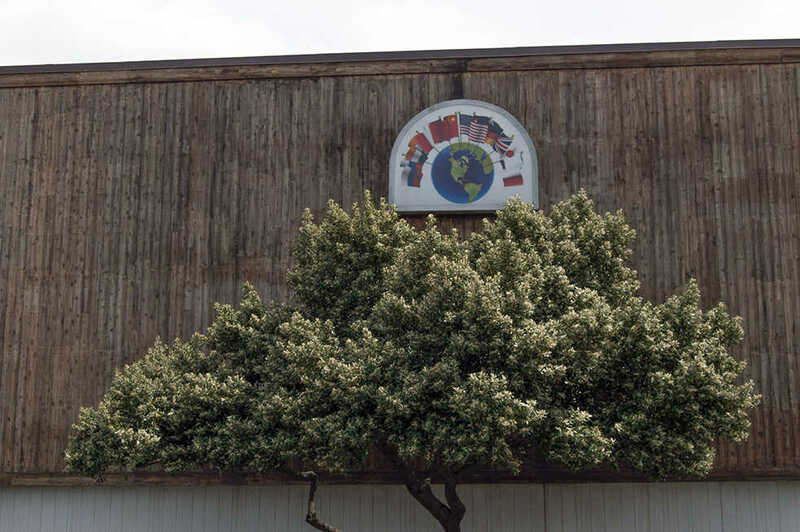 Situated in the rather secluded Atlanta suburb of Scottdale is the massive building that contains Our World Market (OWM), formerly branded as Your Dekalb Farmers Market. The grocery is quite large; it is housed in a space that very much resembles a warehouse. A wide variety of produce, meat, fish, dairy, grain and nearly any other food that can be thought of can be tracked down somewhere within the store. OWM has its own cafeteria as well — shoppers park their carts outside its entrance within the store while they dine on various offerings. Also included within the enormous market space is a floral shop as well as a cafe with hot coffee and pastries. But especially unique to OWM is the diversity one encounters immediately upon entry. It is not difficult to meet people from all different backgrounds and walks of life shopping together at any given hour of any day of the week. And the position that OWM occupies in relation to Atlanta’s immigrant communities could be likened to that of a keystone, both historically and in the present. Tore C. Olsson, writing for Southern Cultures in 2007, described the ethnic shift in Atlanta’s demographics towards the end of the 20th century. Robert Blazer founded OWM (then Your Dekalb Farmers Market) in 1977 as a more conventional marketplace. Olsson goes on to explain how, at that time in Atlanta, foods that were not Euro-American would certainly be thought of as off the beaten path to most of the cities’ inhabitants. As competition with large chain grocery corporations like Kroger placed pressure on smaller local operations, the decision was made that OWM would serve to supplement traditional foods with a variety of international products so as to make distinct their offerings. According to Olsson, Blazer’s OWM was a trailblazer in this regard in that the market was one of the first groceries to add such global choices. In 2014, work on an expansion effort of OWM began. Yet, in mid-2016, market officials told Curbed Atlanta that the project was still in the planning stages. Some estimates of the plans would have the new store become the largest grocery store in America.